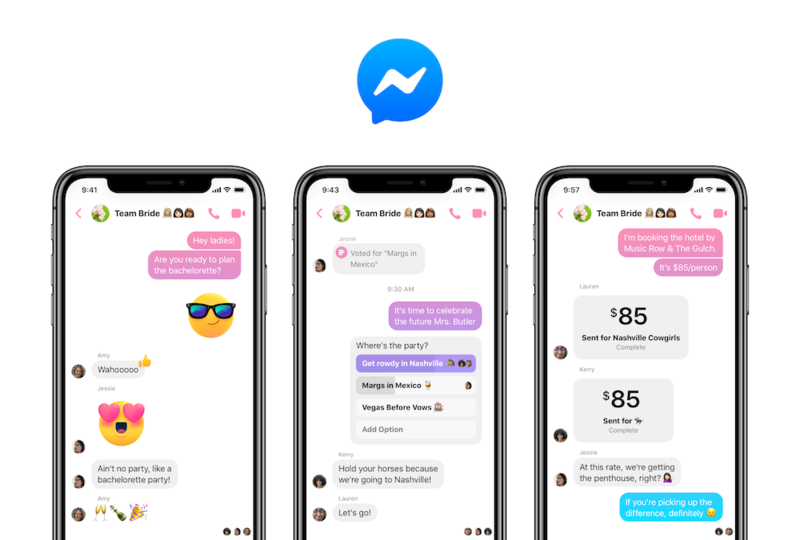 Facebook has launched Messenger 4, a simplified version of its messaging application that reduces the number of tabs to three for users to find the features they are looking for easier, as well as new options for customizing the color of conversation bubbles. Messenger 4 is born of Facebook’s attempt to deepen the “proximity and proximity” to make the Messenger application easier, according to the company through a press release. This version of ‘software’ has begun to be launched on Wednesday and will be distributed gradually over the next few weeks. Facebook defends that Messenger 4 allows “a simpler way to be connected with your people”. The company has shared the results of a study of its own in which it is stated that the 71% of people value simplicity as a main feature within an application. As new features, Messenger 4 has three tabs to find features, reducing this amount with respect to the nine present in previous versions. The first of these windows is ‘Chat Tab’, which collects all conversations, both individual and group. The company states that within this section, Messenger will have “visual communication functions” as the camera feature, located at the top, to share selfies. Another tab is the ‘People Tab’, where all the friends are added and where you can see their activity status, as well as the stories they publish. Finally, ‘Discover Tab’ allows different functions such as buying products, using games instantly or follows the news among others. The new version of Messenger also has settings to customize the colors of chat bubbles through color gradients that can change as you go down a conversation. The company emphasizes that, although this is a simplified version of the application, Messenger 4 will have all the features that “allow people to connect”, so they will not change any of the preferred features of users.